It’s back to school once a week for Wharfe Valley Farm’s Managing Director, Sallyann Kilby, as she promotes the many health benefits of using The Wharfe Valley Oils range at the local online and offline marketplace for fresh food taking place each week at Harrogate High School. 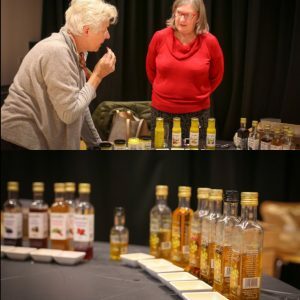 SallyAnn Kilby demonstrating the range of healthy rapeseed oils , salad dressings and vinegars available online from Wharfe Valley Farms. Every week you’ll find great products direct from quality local farms and food producers. 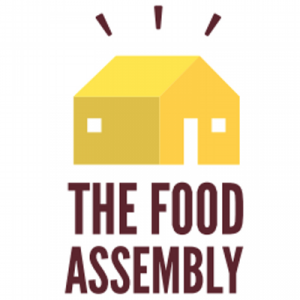 Vegetables, fruit, meat, fish, eggs, dairy products, honey and much more, you can shop it all online and then pop along to the assembly each week to collect your shopping, meet the producers, taste samples and be inspired! Take advantage of our regular offers including buy 3 x 250ml cold-pressed rapeseed oils and get free delivery in October 2017. For more information Subscribe Here and receive news and offers directly to your inbox!